Due to Christmas time our company will be closed from 21.12.2018 till 02.01.2019. All of the orders placed after 19.12.2019 will be handled after 02.01.2019. A modern, crystal light switch, controlled manually or wirelessly using a remote control. Installation in a standard junction box ensures the convenience of installation, and the timeless design ensures adaptation to any interior. A unique videodoorphone set with a touch panel and backlit buttons. Surface mounting with a protective cover in the set provides protection against external factors. Infrared illumination allows viewing at night, and the numeric keypad allows you to open the lock with a code. A modern garden socket equipped with a practical arrowhead for quick installation on the majority of surfaces. It has two sockets with extremely useful hinged covers, protecting sockets against external factors. Perfect for gardening or camping. Modern and practical furniture sockets that are ideal for mounting in cabinets, display cases and display cabinets. Thanks to the additional USB ports and the switch (selected models), they simplify work in the kitchen and office, multiplying the number of desired sockets. A timeless design will make it fit into any interior. LED lamp for lighting mirrors, paintings and other items that we would like to display. Its shape ensures even lighting, and a high degree of protection protects the device against the harmful effects of dust and moisture. Designed in accordance with the latest trends, it combines the simplicity of form and modern functionality. A modern solar lamp equipped with a polycrystalline photovoltaic panel, which is used to charge the built-in lithium-ion battery. Built-in motion sensor and automatic lighting switching in a dark environment render that the lamp perfectly illuminate the garden, driveway or terrace. Mounted on the facades of buildings or concrete fences creates a unique scene of light. Unique, wireless ringtones with 4-level volume adjustment and 32 ringtones to choose from. They have three modes of operation: audio, optical and optical-audio, which makes them suitable for older people with hearing impairments. The LED floodlight is equipped with a polycrystalline photovoltaic panel, which is used to charge the built-in lithium-ion battery. Perfectly illuminates garage rooms, halls, parking lots, gardens, etc. Built-in motion sensor and an automatic lighting switching in a dark environment guarantee high energy efficiency and long life of the device. A functional videodoorphone set with an ultra-flat monitor equipped with a touch panel and backlit buttons. The internal memory module of the monitor saves about 20 color images, and infrared lighting allows the night vision. In addition, the opening of the bolt is carried out using a proximity key. A modern sensor, adapted for an early detection of the presence of water in rooms prone to flooding such as cellars or rooms with water reservoirs. The device has a measuring probe that will react immediately after detecting the leak and notify the household members thus ensuring safety. Practical triple socket outlet with grounding, suitable for any interior. Perfect for places where there is no additional access to network sockets. Modern linear fixtures that are the perfect replacement for traditional fluorescent luminaires. They perfectly illuminate such rooms as offices, kitchens, shops, workshops, etc. SMD LEDs guarantee high energy efficiency and long life of the device. A modern videodoorphone equipped with an ultra slim LCD monitor, which has a touch panel with backlit buttons. The vandal-proof housing of the external panel and infrared illumination allow comfort and safety in use also at night. A wide range of ringing tones and a numeric keypad, that allows you to log in 100 users, make the use of the device very comfortable. A perfect device that allows you to remotely control access, open doors, gates, gates or barriers. Simple service via SMS or telephone connection makes us gain comfort as well as safety of use. A practical lighting fixture that illuminates indoor office rooms, apartments or utility interiors. Modern SMD LEDs guarantee high energy efficiency and long life of the lighting fixture. Twilight sensor, depending on the settings, switches on the lighting only when it is needed. In addition, it is equipped with a dimming function. The newest and most technologically advanced door viewer is equipped with many new features. Among other things, it has an integrated bell with volume control, which allows you to choose one of 14 ringtones. Thanks to the motion sensor, the wide-angle camera automatically takes pictures or records video to a Micro SD card, and built-in infrared diodes allow you to see in the dark. We would like to inform you that the long-awaited moment of moving to the new headquarters in Gliwice has finally arrived. At the moment, we are planning to launch the entire moving process from 22.09.2018 till 02.10.2018 and we will not be able to carry out any orders during this period! We kindly ask you to include the above break in your shopping plans, placing an order before 20.09.2018 or after 02.10.2018 We will keep you informed about the change of addresses and all details related to moving to the new headquarters. Our well known flush-fitting furniture sockets (models: OR-AE-1336 and OR-AE-1337) are now available in 5 different colours: black, white, silver, graphite, gold and brass. We are pleased to announce that our company will once again take part in the International Energy Fair in Bielsko Biała - ENERGETAB 2018, which will be held on September 11-13. We believe that presented products will satisfy the wide range of visitors, who have been visiting our stand for many years. We cordially invite you: Hall N, stand 16. A practical, wired doorbell designed for mounting in a current distribution board on a DIN rail. A great way to have a discreet ringtone during guests’ visit. A practical set of insulated wire crimps for clamping on multi-wire cables. They improve the quality of the contact and make it easier to connect wires with strips and terminals of devices equipped with stirrup bolts. A perfect set for hobby works as well as for professional repairs of electrical devices. Well-known LED lighting fixtures, designed for illumination of rooms such as: staircases, corridors, basements, or utility rooms. They’re equipped with SMD LEDs which guarantee high energy efficiency and long life of the fixture. Simple installation ensures convenience in use. A modern, wireless videodoorphone with a 2.4˝ color LCD display and an internal memory module of the handset. Equipped with super bright LEDs that enable night vision. High quality and a wide range of additional functions make the use of the set a real pleasure. Specially designed socket, intended for mounting in desk tops and tables. It has a lockable panel with regular and network sockets, USB charger and a slot finished with a dust brush. Portable LED workshop lamp with built-in lithium-ion battery, designed for lighting outdoor work. Practical solutions applied ensure comfort of use. Smoke detector, designed to monitor rooms for smoke and early fire detection. Easy installation, very small size and extremely durable design allows it to be used anywhere in the home or at work. Solid power supplies adapted for mounting in a current switchgear on a DIN rai. High quality ensures safe use. New, 18W model of our well-known VEGA LED I and II lighting fixtures. The SMD LEDs used in the fixture guarantee high energy efficiency and long life. Ideally suited for the illumination of corridors or locker rooms. A modern fixture designed for an illumination of stairwells, corridors or warehouses. Equipped with SMD LEDs, which guarantees high energy efficiency and long life. High quality and solid housing ensure safety in use. Solid, modular power supplies, designed for LED lighting systems, including diodes, LED strips, bulbs, hoses or or neon lights. They are equipped with a short circuit protection and output voltage adjustment. Precise sensor used for an automatic control of lighting or other electrical devices in large rooms, for instance: in warehouse halls or corridors. A modern crystal glass dimmer, controlled manually or wirelessly using a remote control. An original solution for modern interiors. The well-known and popular furniture socket OR-AE-1303 are now also available in the new, black version! The well-known and popular NOTUS LED linear fixutures are now also available in the new version! Perfect for the illumination of countertops and kitchen cabinets, shelves, showcases, shop windows or desks. A practical electricity calculator with LCD display that allows you to check the consumption of electrical current and calculation of the cost of energy used by connected device. Convenient, large display facilitates data reading, among others: voltage, current frequency, power factor or current in the circuit. An innovative radio-controlled extension cord with a remote control provides a convenient operation of up to five connected electronic devices. Independent turning on and off of devices from a distance of up to 30 m (in the open area) and a 3 m cable enable a comfortable and safe use. Reliable LED workshop lamp that will facilitate any work, both at home, garage or workshop as well as outside the premises, for instance at a campsite. Built-in strong neodymium magnet allows fixing the lamp to metal surfaces. It has a handy, foldable hook and a built-in battery so you can recharge the lamp quickly. The modern design of the ultra thin extension cord makes the product look great both at home and in office rooms. It has an ultra-flat plug that makes it easy to connect to sockets in hard-to-reach places, and the compact design makes it easy to store. Please be informed that on May 31 and June 01, 2018 the ORNO POLSKA warehouse will be closed. We ask our clients to include this change in their purchase plans. All orders placed on that day will be carried out on June 4, 2018. We have expanded our offer with two ranges of extremely useful quick couplings. The variety of models will allow everyone to choose a product suited to their needs. Quick couplers are available in standard and mini versions. Our offer includes a modern desk extension cord with a 1.4 m cable, a USB charger and a practical assembly system. An elegant, black cord is made of high quality plastic, which makes the product more resistant to damage. The compact size fits into any interior. Please be informed that on May 2, 2018 the ORNO POLSKA warehouse will be closed. We ask our clients to include this change in their purchase plans. All orders placed on that day will be carried out on May 4, 2018. Our range of furniture sockets could not miss the extremely useful socket OR-AE-13126 which in addition to the standard 230V sockets is equipped with two USB ports used, for example, for charging mobile phones, mp3 players, tablets, etc. We would like to kindly inform you that the new version of the Pluton videodoorphone has been introduced into our offer - the latest version VDP-51 is equipped with a camera made of stainless steel. We wish you a healthy, cheerful Easter, joyful, spring mood and fantastic meetings with family and friends - Board of Directors and employees. FORNAX is a modern and original doorphone set for self-assembly in single-family houses. It is equipped with volume control and gate control. The FORNAX doorphone can be additionally equipped with an intercom function after the use of an additional uniphone. Modern network outlet with grounding and USB charger in a housing hidden in the top. It has an ultra-flat plug that makes it easy to connect to sockets located in hard-to-reach places, eg behind furniture. The device is designed for mounting in desks, countertops and tables. It has an additional cover to protect the socket. Beautiful staircase fixuteres are great in classic and traditional interiors of houses as well as in hotels or restaurants. The luminaire will make every staircase more attractive by providing lighting and an original look. Ideally suited wherever we want, so that the light does not dazzle but illuminates the road. We have extended the family of electronic timers with a new model adapted for mounting on a standard DIN rail. The device is used to set the ON/OFF time of electrical devices such as lighting, water heaters, motors, pumps, etc. The latest LED lamp for 2018. SILOE LED is equipped with an automatic system that turns on the lighting as soon as the night falls and motion sensor, responsible for lighting and extinguishing the lamp. The LED solar lamp is perfect for lighting of premises, terraces, gardens, stairs, gates, parking lots and squares. It works perfectly as a lighting enhancing safety without the need for an additional power supply. The most important advantage of the lamp is the fact that it does not generate any maintenance costs! The new desk lamp has a neutral color of light that introduces a refreshing atmosphere conducive to concentration and work requiring visual effort. With the help of tactile buttons you can turn on/off the light, set the appropriate level of light intensity or reduce the level of illumination. The lamp made of the highest quality materials is ideally suited to work by the computer, laptop, while doing homework or reading books. It fulfills its task both in the office and at home on a desk or bedside table. LED floodlights are increasingly used - they are most often used to illuminate entrances, for example for blocks, warehouses, industrial facilities, garage entrances, facades, lawns, courtyards, parking lots, monuments, advertisements or banners. Modern LEDO LED construction will not only bring brightness, but also introduce modernity, functionality and savings to your surroundings. Available in a version without and with a built-in PIR motion sensor that reacts when motion occurs and allows setting the lighting time to the necessary minimum. We would like to inform you about the introduction of a wireless bell with a battery-free button. The KINETIC AC bell is a combination of elegance, modern design and battery-free technology with 32 bell sounds. It creates a perfect solution that will work not only at home, but also in companies, schools and other public facilities. The well-known and popular MOSTRA LED fixtures are now also available in the new version! The offer of downlights has been extended with new SARMA LED models that have a beam adjustment of 35 degrees. Innovative use of the built-in LED power supply enables direct connection to the 230VAC installation, which gives much more assembly options. OR-OD-6085WLX4 model is equipped with an additional dimming function. ONYX and CYRKON garden luminaires are characterized by high durability and quality. Used on the facades of buildings or concrete fences in gardens creates a unique lights scene. A new metal, wood and wire detector. Equipped with LCD display with sound signaling, the ability to reduce or increase the sensitivity of the detector and automatic calibration after switching - it makes the device very easy and convenient to use. Do not hesitate - test it today! Taking into consideration the needs of our customers, we have introduced to the offer the well-known and well-liked motion sensor OR-CR-211 also in the 12V-24VDC power supply version. The SANTA laser projector is an alternative to the traditional Christmas lighting - it's the fastest and easiest way to decorate your home! From today, the end of labor-intensive home decorating in the traditional way, now you will get the effect in a few minutes, saving time and work. This practical device will display thousands of green, red or green and red moving lights on the facade of the building, sculptures as well as in the room. DUX is a modern and original, colorful videodoorphone for self-assembly. It has a color LCD screen 4,3" high-resolution images, smooth adjustment the parameters of the monitor and adjust the volume, as well as lighting LEDs enable night vision. Additionally, it has the ability to control the gate. We introduced two types of cable reels for use in the home, in the office, in storage, on construction sites, etc. Extension cords are available with H05VV-F or H05RR-R cables and in lengths from 25m to 50m. Taking into consideration the needs of our customers, we introduced a well-known and well-liked set of LED furniture fixtures in the INOX version. Our ZONDA LED fixture with motion sensor 360° is now available also in 16W version. We would like to inform you that the OR-PRE-403 has been replaced by the new OR-PRE-432. New OR-LB-1533 LED desk lamp with LCD display. It is equipped with a touch switch with three levels of brightness control. The LCD has built a clock, calendar and thermometer. The lamp combines a unique design and functionality makes the lamp fits into any interior. Floodlight portable LED lamp designed to illuminate the work carried out in the home, garage, basement, car, camping, etc. Power Bank allows you to charge the battery in your phone, tablet, photo camera or MP3 player wherever there is no access to the power outlet. Taking into account the needs of our customers, we introduced the well-known and popular REMI LED modules also at 4000K color temperature. LED desk lamp with pen container and LCD display. It is equipped with a tactile switch with three levels of brightness control. The flexible arm allows you to set the lights in a convenient position, and the LCD has built a clock, calendar and thermometer. OR-GB-431 enables switching the lighting on and off by a remote control with a range of 30m. The device is very easy to operate. No installation required. Sockets OR-AE-13117 have hermetic housing made of hardened rubber, wire clamps that protects against wrench of the wire and sealing covers that protect the inside from the dirt, damage and humidity. It is really easy to install. Taking into consideration the needs of our customers, we have expanded the range of videodoorphones with the new white CRUX set. The set includes a well-known OR-VID-VP-1009MV monitor, an external color camera panel and illuminated numeric keypad. New remotely controlled by a light switch light bulb facilitates everyday-life. The 2.4GHz wireless radio switches the bulb wirelessly from up to 30m. It has the ability to turn on, off, dim and change the color of the light from 2700K to 6500K. The unit is very easy to install and operate. We are pleased to announce that our company has once again participated in the International Energy Fair in Bielsko Biala - ENERGETAB 2017. We believe that the presented products we have satisfied a large crowd of visitors, who for many years in large numbers visited our stand. Thank you for your presence. In recent days, our company had the pleasure to participate in the International Fair of Components for Furniture Production, which took place on 12-15 September in Poznań. Thank you for your presence. Ceiling LED downlights fixtures for wall mounting, designed to illuminate the inner parts of the premises such as kitchens, bathrooms, stairwells, hallways, basements, garages, etc. Used in the luminaire modern SMD LEDs perfectly illuminate any room. Included is a LED power supply - now available also in 3000K colour temperature! Downlights LED fixtures for wall mounting, designed for lighting of buildings using the type of plasterboard for example ceilings. Equipped with modern LEDs SMD perfectly illuminate any room - now available also in the 3000K colour temperature! Headlights mounted directly on the forehead or helmet with special straps allow perfect fit of the flashlight to the mounted surface. A practical sensor allows turning the light on with a hand movement. The source of the lights are LEDs provide a very bright light. Professional flashlights that provide much more light and consume less battery. Ideally suited for use in the garage, service shop or an automative workshop. From 12 to 15 September 2017 our company will present its offer on International Trade Fair of Components for Furniture Production. You're welcome to visit our stand! Stand 66, Pavilion 3A. 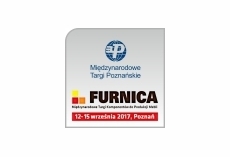 We invite you to visit our stand at the International Energy Trade Fair in Bielsko - Biala, Poland. 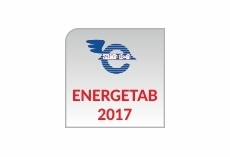 ENERGETAB 2017 will be held between 12-14.09.2017. Stand 16, Hall N.
Are you tired of this annoying sound of mosquito flying next to your ear? Do you have enough of this itchining feeling that is caused by mosquitos? Our new OR-AE-13111 electric lamp will make it easy to forget about this nightmare. Electric lamp through emmited light (30W) with special color effectively attracts and eliminates mosquitos. OR-AE-1399 - the universal and irreplaceable in travel plug adaptor that allows free usege any plug-in sockets over the world including Australia, China, Europe, Great Britain, USA, Japan etc. OR-AE-1397 and OR-AE-1398 - new furniture sockets! Single or double hermetic socket for flush mounting. Taking into consideration the needs of our customers, we have expanded the range of videodoorphones with the new CRUX set. The set includes a well-known OR-VID-VP-1009MV monitor, an external color camera panel and illuminated numeric keypad. Floodlight portable LED lamp is designed to illuminate the work carried out indoors, as well as outdoors. Power Bank allows you to charge the battery in your phone, tablet, photo camera or MP3 player wherever there is no access to the power outlet. Device for detecting live metal, wood and cables hidden in walls. It has memory of the selection function and automatic calibration when the device is turned on. The device is designed for direct mounting on the power cord, is used to regulate various types of lighting: furniture, aquarium etc. It has a smooth adjustment knob from full power light until complete shutdown (OFF) lighting. Easy-to-use power controller equipped with an extra plug. Ideal for controlling the illumination of table lamps, floor lamps, fans, etc. It has a smooth adjustment knob from full power light until complete shutdown (OFF) lighting. As early as today, you can purchase as many as 6 new models of 1 and 3 phase energy meters, compliant with the MID directive. These are devices for making indications in metric units (kWh). Simple, ceiling mounted infrared alarm device, remote controlled (ON/OFF). Equipped with a built-in siren and a motion detector that captures movement from a distance of 5 m. Perfectly protects your home, apartment, garage, shop, office, warehouse etc. Modern and useful set of outdoor wireless remote controlled sockets allows remote controlling (ON/OFF) of electrical appliances that are located at places with difficult access. Modern design and a range of up to 25 m will facilitate the use of the devices in homes or offices. Includes universal 4-channel remote control. Garden LED fixtures OPAL and CYRKON are characterized by high durability and quality. Used on the facades of buildings or concrete fences in gardens create a unique lihgts stage. Fitted with SMD LEDs allow for a significant reduction in electricity costs. Video cameras for expansion videdoorphone EX series. Equipped with high-quality wide-angle lens, CCD color cameras, vandal-proof housing for surface mounting and additiona gate control possibility. Are you fed up with annoying insects that uninvited appear at your home? You can say goodbye to them once and for all - electric lamp thru emmited light (3W) with special color effectively attracts and eliminates mosquitos. Lured insects are killed by electric charge located on the grid placed before the light source, and after that they fell to a container underneath. A workshop LED lamp OR-NR-6069L6 is ideal for use in car garage, and car service. Equipped with 40 LEDs that light up ideally place to work, and in addition, it has a hook on which you can hang the lamp. OR-AE-13110 in an innovative set of three grounding power sockets, 2 network sockets, 1 HDMI socket, with a cable 1,5m and the retractable top housing. The device features an electronic opening and closing mechanism (180° rotation) and a photoelectric protection against closing. Our new cabinet lights have modern LED, SMD type. Ideal for decorative illumination of suspended ceilings, furniture, cabinets, shelves and sites in the living room, bedroom or kitchen. Equipped with touchless ON/OFF switch activated by hand movement. Our new downlight fixture is equipped with high-quality SMD LEDs, which allow for significant energy savings compared to conventional lighting and built-in LED driver. It can be easily installed in rooms with high humidity eg. bathroom. A set of two grounding power sockets with USB charger and the retractable top housing. Designed for indoor installation in desks, table tops and tables, both vertically and horizontally, providing access to electrical outlets. New TORINO AC wireless doorbell works perfectly as a doorbell or as a calling device. There are 52 selectable polyphonic sounds, which means that a different melody can be assigned to each button - goodbye boredom! It's over! A torment of searching for available sockets in the apartment - it's no longer your problem. From now on, you can safely charge your phone with an USB cable - all thanks to our innovative product. Fixtures equipped with modern LED SMD are ideal replacement for the traditional waterproof luminaires with fluorescent lamps. They can be used for lighting external and internal parts of the premises with increased humidity and dust such as parking (underground, multi-level), garages, sports stadiums, stores, subways, factories, workshops, etc. We have introduced two new programmers which are used to set the ON/OFF time of electrical appliances. They are also available in Schuko version. We are pleased to inform you, that our offer of LED lamps was extended with model OR-LA-1413 - bedside LED lamp with with motion sensor and build-in twilight sensor. Wireless dorbell, which is used for sound indication, has 36 selectable polyphonic ring-tones. It does not require special wiring and the number of connected doorbells and buttons can be increased as required. Motion sensors are used to automatically control lighting or other electrical equipment, they collaborate with LED lighting. Ceiling LED fixture is equipped with passive infrared motion sensor and SMD LEDs which allows to significantly reduce the cost of electricity. Twilight sensor (depending on the settings) switches on the lighting only when needed. A modern, electromechanical battery code locks designed to replace the standard lock insert with a digital backlit keypad or fingerprint reader. Excellent alternative to a standard key or a code lock. The locsk have very high safety features, comparable to the eccentric insert, such as core retention and boring. The unique construction, easy installation without the need for drilling and routing allows for seamless adjustment to most standard exterior and interior doors without the need for replacement or modification. The elegant stainless steel design makes the lock fit into any interior. The device makes it easy to remotely control entry, door openings, gateways, gates, barriers and other equipment. Using via SMS or telephone call (up to 99 phone numbers that can access the system). Quadband GSM. The device is designed for wireless control of electrical devices such as locks, gates, lighting etc. He works at a frequency of 433 MHz. Thanks to radio communications device works in the open area up to 50 m. The receiver works with 30 pilots and operates in three modes, depending on the settings. Downlights LED fixtures for wall mounting, designed for lighting of buildings using the type of plasterboard for example ceilings. Equipped with modern LEDs SMD perfectly illuminate any room. LED power supply is included. Ceiling LED downlights fixtures for wall mounting, designed to illuminate the inner parts of the premises such as kitchens, bathrooms, stairwells, hallways, basements, garages, etc. Used in the luminaire modern SMD LEDs perfectly illuminate any room. Included is a LED power supply. Rocker switches having two connectors, available in 3 colors: white, gray and black. Exit buttons for surface mounting, for use with doorphones, keypads and videodoorphones. They have a solid, aluminum housing. Additionally, the model OR-ZS-814 has a backlit button, and the model OR-ZS-812 operates contactless using the hand detection. Inline switches with flat plug and cable with a length of 2 or 3 m. For use with lighting for eg. desktops and standing lamps. LED desk lamp with LCD display. It is equipped with a touch dimmer switch function and a lamp with an integrated motion sensor. The flexible arm allows you to set the lights in a convenient position, and the LCD has built a clock, calendar and thermometer. LED technology ensures high energy efficiency and long life lamps, and combines a unique design and functionality makes the lamp fits into any interior. We invite you to read the instruction video, illustrating operation of all our products in Infrared Barriers section. Universal charger with two USB ports and the LED indicator to inform on the charging process. After a suitable USB cable (not included) is connected the most telephones, tablets and mobile devices available in the market, including iPhone, iPad, iPod etc. Remote controlled sockets with additional memory function (lets remember the last state of the device before pulling from the electrical outlet or power failure) for wireless on and off indoors devices. You can control by the iPhone, iPad and Android/iOS devices after use the application of the central soscket (OR-SH-1701) Orno Smart Living series. For wireless service outlet is required for wireless remote control or surface mounting switch of a Orno Smart Living series. The OR-SH-1713 socket can be used outdoor. 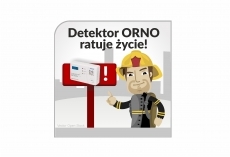 Carbon monoxide ORNO detectors once again saved human life and health, this time in Bielsko-Biała. Sockets desktop feature with teminal screws, which allows base attachment to the edge of the desk or shelf without having to drill the mounting holes. The devices has three/four grounding sockets, 2 USB charger ports (selected models) and wire with a length of 1.8 m. Sturdy metal construction and modern design. The universal and irrepleceable in travel plug adaptor that allows free use any plug-in sockets over the world including Australia, China, Europe, Great Britain, USA, Japan etc. The modern, compact USB charger with a cable ended with three connectors (male) and coiled automatically, of Micro USB and Apple 8-pin, Apple 30-pin standard to suit the most telephones and mobile devices at the market including iPhone 4/5/6.